As a former Assembly member, I’m disappointed to see the media and public contempt for politicians justified, again and again. I feel badly for the great number of my former colleagues who labor honestly on behalf of their constituents and their ideals. But I fault them — and myself — for not demanding better of legislative leaders and those who put themselves forward for leadership. The Assembly rated 42 percent favorable, 41 percent unfavorable in the last Siena poll. Speaker Silver scored a dismal 21 percent favorable, 37 percent unfavorable rating.And in a December Quinnipiac poll, only 28 percent of New York voters approved of the job being done by the Legislature. Fifty-eight percent voiced disapproved of their state legislators. Gov. Cuomo’s suspension last year of the Moreland Commission’s investigations into political corruption in Albany (investigations that Bharara soon took over) called into question his commitment to ending business as usual in the state capitol. But to his credit, the governor put a stop to legislative member items. For venal legislators, member items were a trough from which they and their cronies fed. It’s what allowed Silver to allegedly send $500,000 to that physician.Yesterday’s arrest of and complaint against Silver after an 18-month investigation demonstrate that his office wasn’t working the Moreland investigations on anyone’s schedule but his own. This entry was posted in Crime, Government, Political corruption, Politics, Public Corruption, Public Policy and tagged Andrew Cuomo, assembly speaker sheldon silver, Preet Bharara, public corruption. Bookmark the permalink. Very good article. I agree, Preet Bharara is a breathe of fresh air. He can’t be threaten like normal people are when they disagree with certain elected officials. The corruption need to stop and he will make sure that happens. 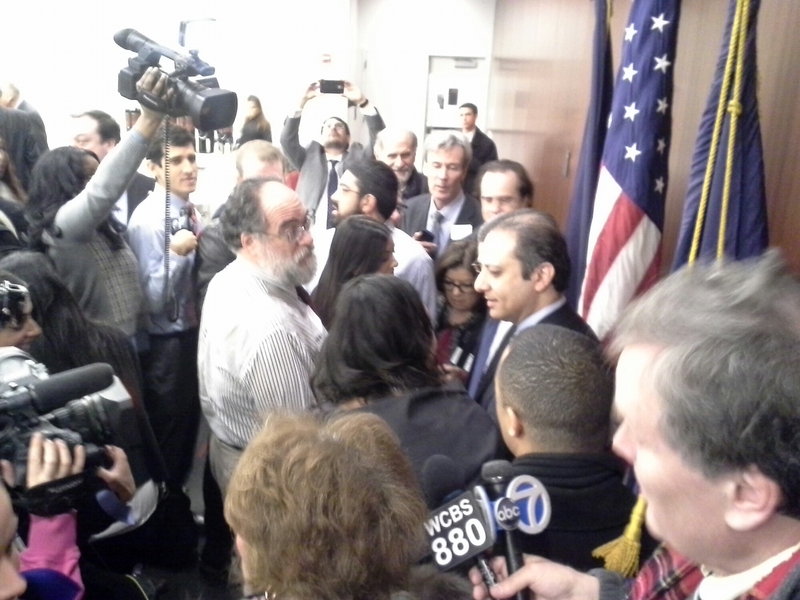 Thank you again U.S.Attorney Bharara.